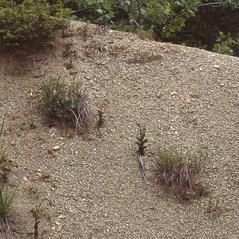 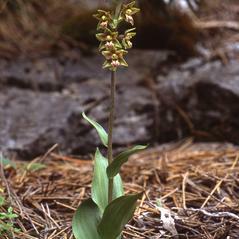 Epipactis atrorubens (O. Hoffman) Bess. 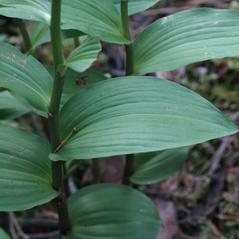 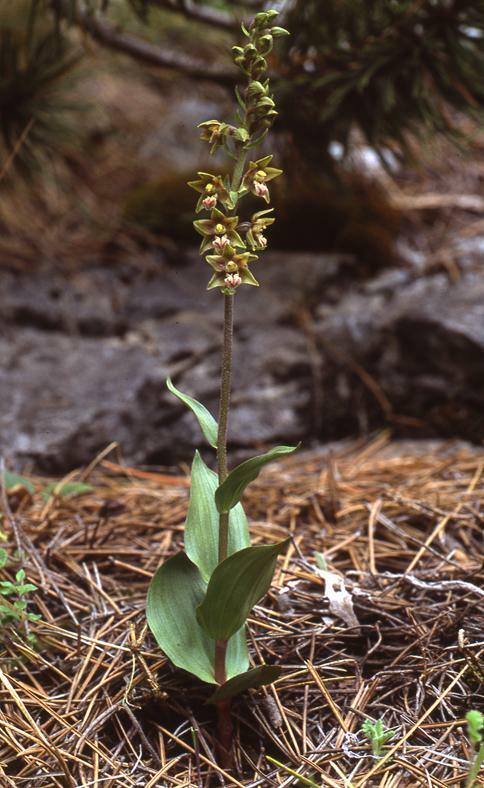 Epipactis atrorubens, the Dark Red Helleborine, is native to Europe and Asia, extending from Norway in the north to mountain regions in Spain in the south and which reportedly has naturalized in Vermont. 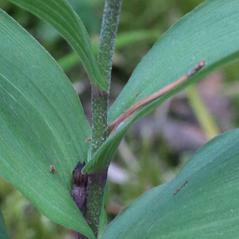 This orchid has 5-10 deeply veined leaves and thin hairs cover the stem. 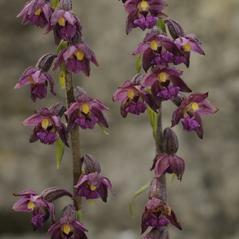 The loose raceme consists of several flowers, usually a dark wine red but occasionally rose colored or greenish. 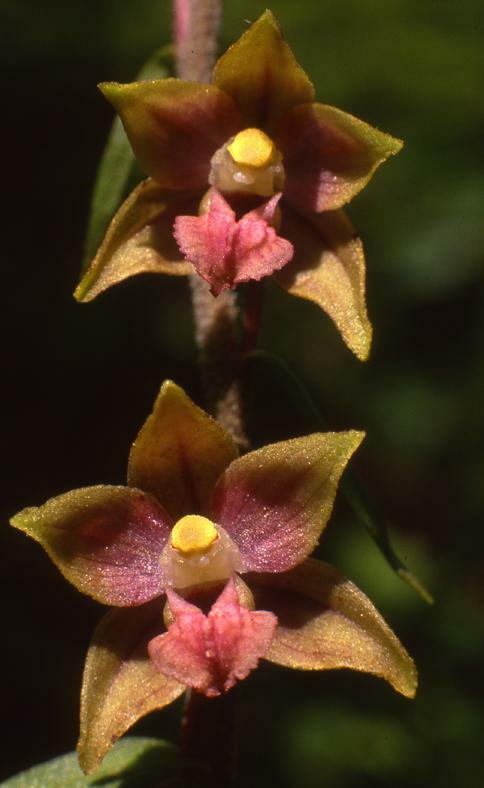 The lightly veined labellum is divided into two parts: the innermost part is concave, forming a small pouch-like bowl, greenish with red edges, and spotted with red or brown. 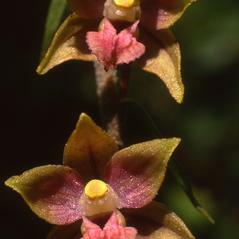 The outer part is triangular and more brightly colored. 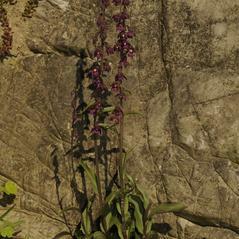 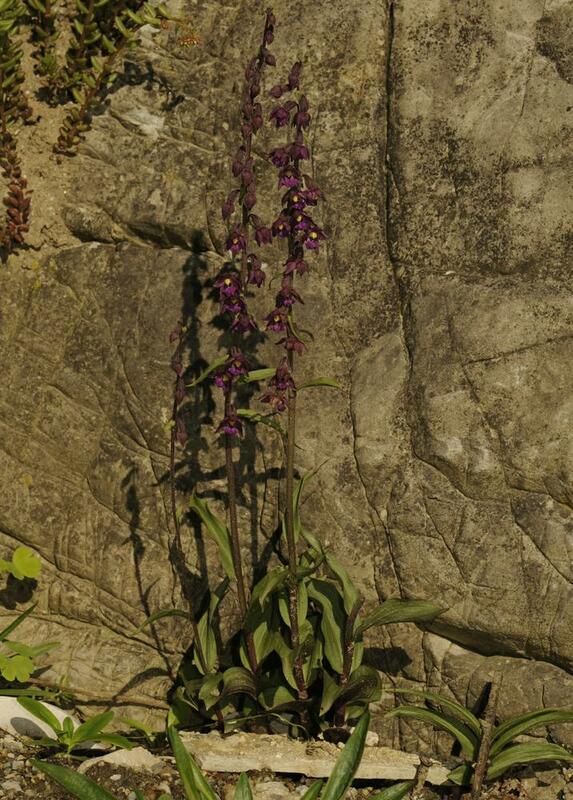 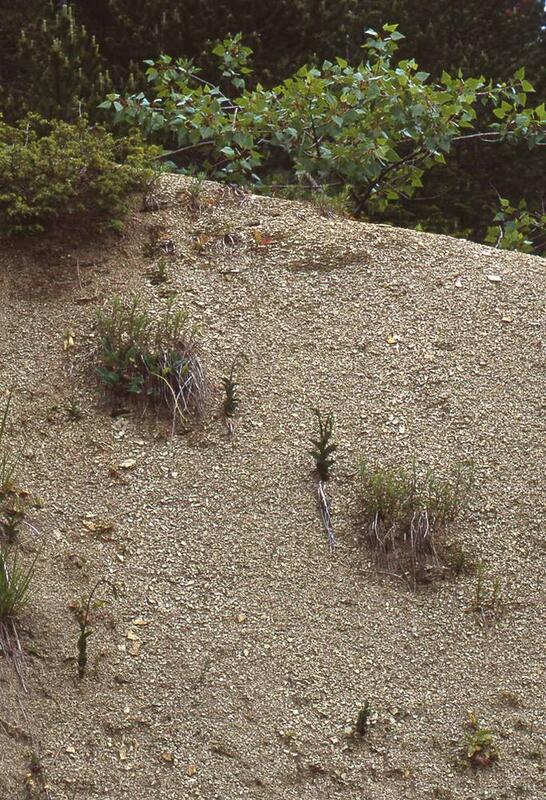 This orchid favors warm, dry locations, and was discovered in Vermont in an abandoned quarry on serpentine bedrock. 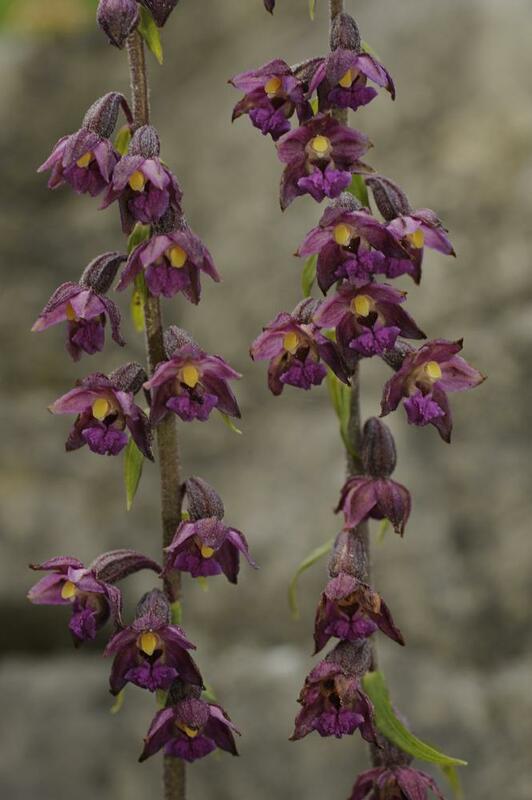 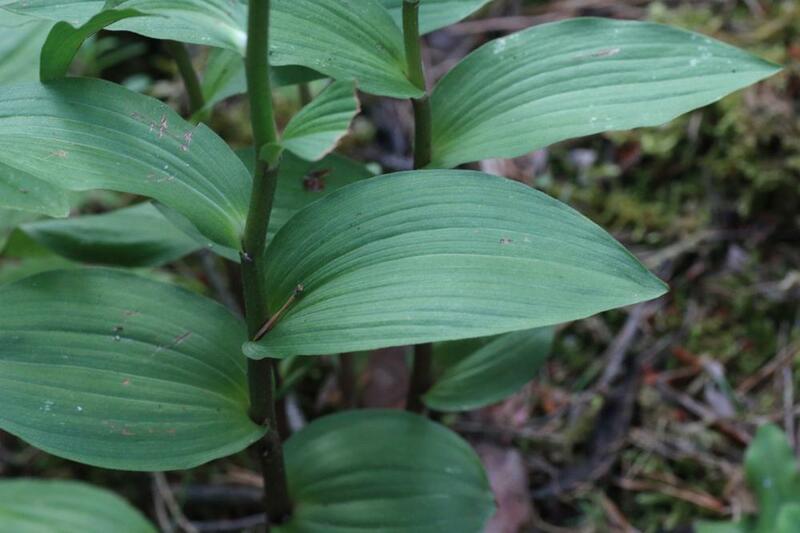 The conservation status for Epipactis atrorubens has not been reported but populations in the United Kingdom are declining and this species is becoming scarce in some parts of its range.